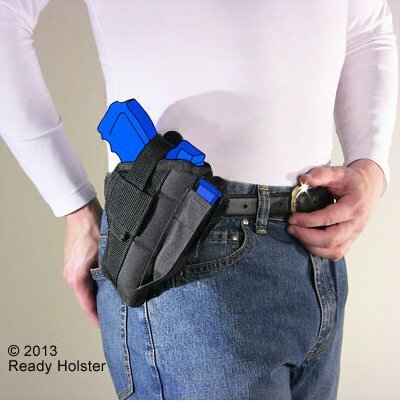 Our Belt & Clip Side Holster is perfect for easy to draw, convenient open carry. It can be used for hunting, at the gun range, and self-protection. 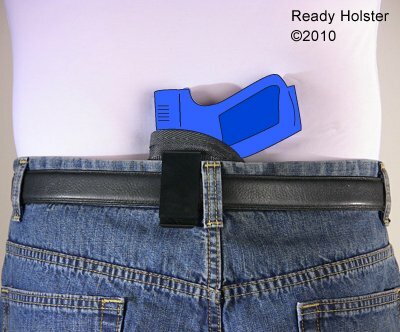 The holster attaches to your pants using either a belt loop or a reversible metal clip. 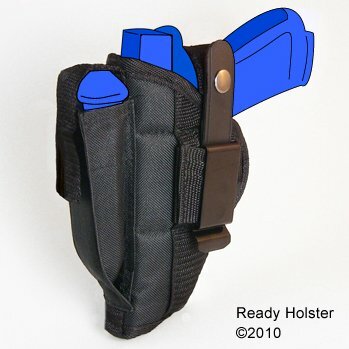 On the front of the holster is an extra magazine pouch. 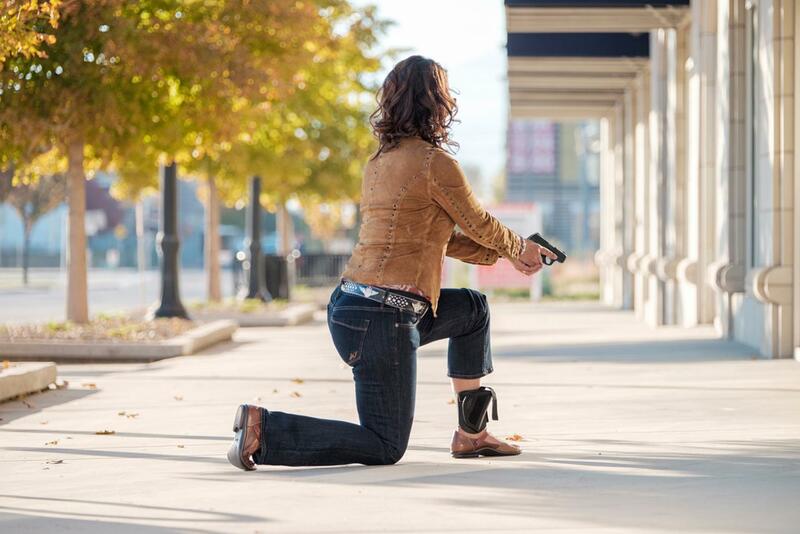 This holster is designed for open carry on your hip. It is made using durable Cordura ballistic nylon. 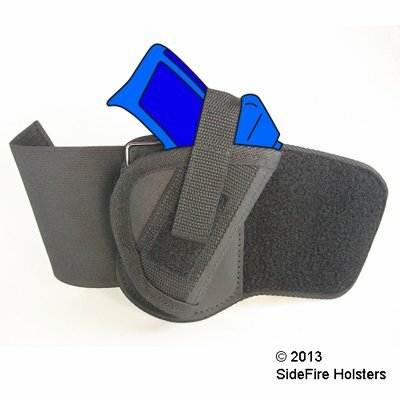 The inner layer of the holster is lined with soft fabric to protect the finish on your gun. A padded nylon vapor barrier is located in between to provide additional retention and to protect your gun from moisture. 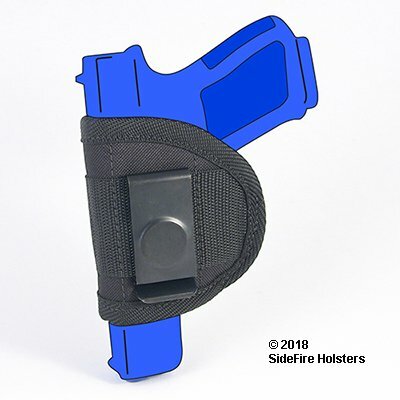 The holster uses a thumb break retention strap to secure the gun. The inside strap is made from rigid plastic which allows your thumb to easily break the retention strap and draw the gun with one hand in a single smooth motion. Holster is Ambidextrous. The Ankle Deputy will fit about 98% of people out of the box. If you have extra large lower calves, contact us and we can inclue a free extender. An optional Calf Strap is available. 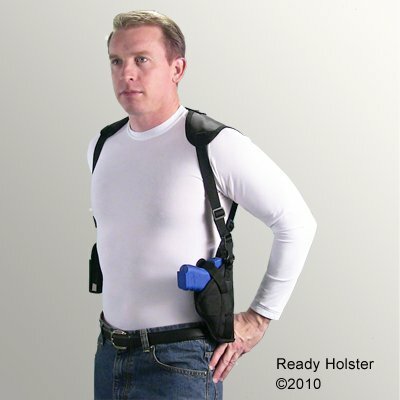 Our Horizontal Shoulder Holster comes with a double magazine pouch. 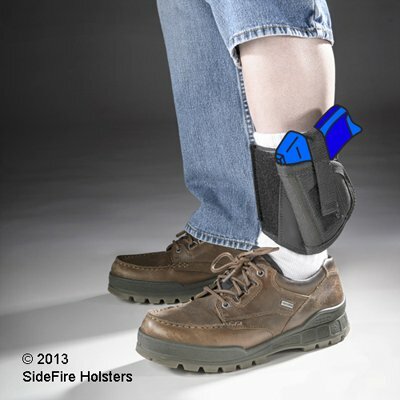 The holster is adjustable to fit different body types. 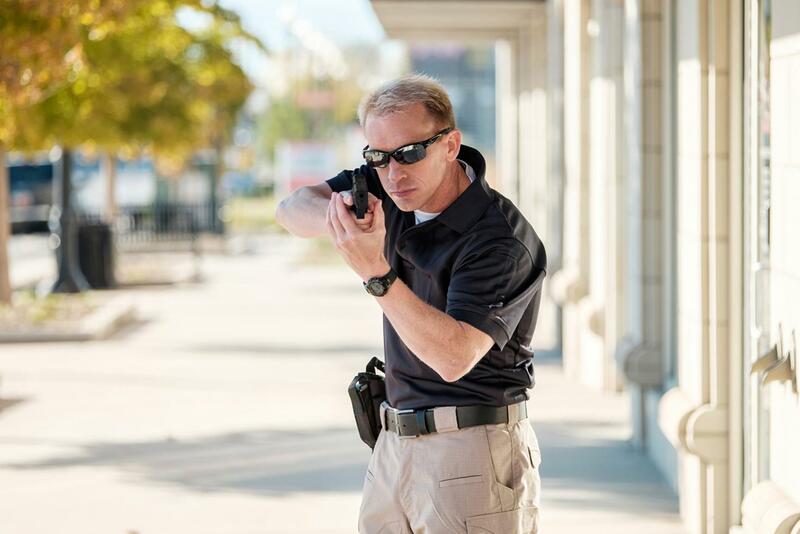 Our holsters are made using durable Cordura ballistic nylon. 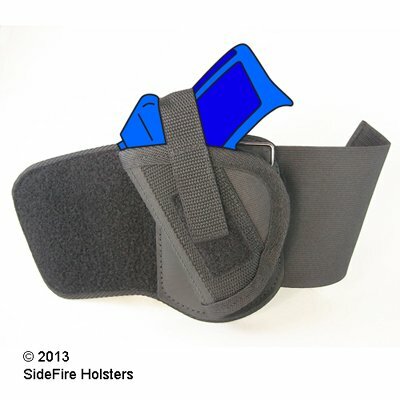 The inner layer of the holster is lined with soft nylon to protect the finish on your gun. 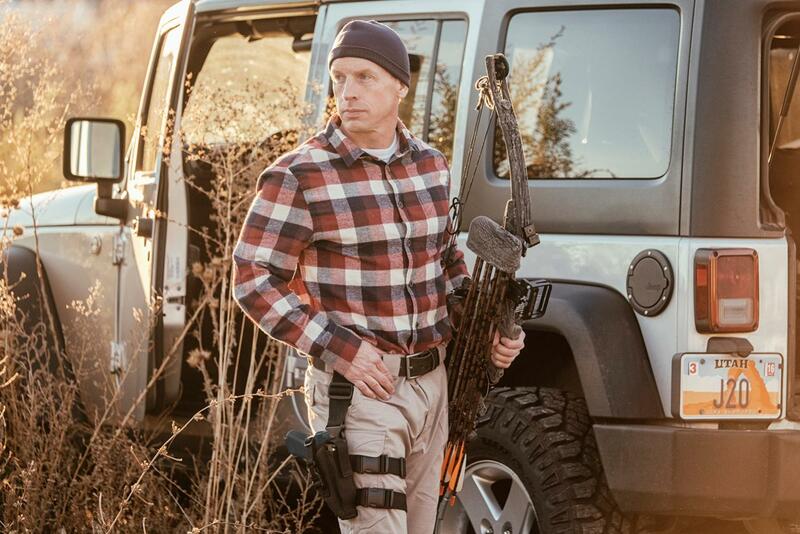 A padded nylon vapor barrier is located in between to protect your gun from moisture. The gun is secured in the holster by a thumb break retention strap. The inside of the strap is made from rigid plastic which allows your thumb to break the retention and draw the gun with one hand. Holster is ambidextrous. 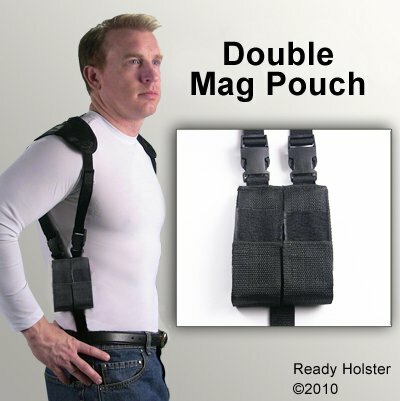 Our Vertical Shoulder Holster comes with a double magazine pouch. 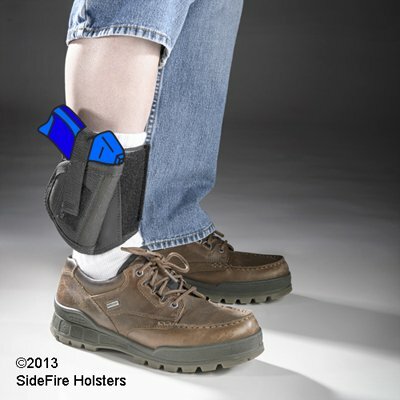 The holster is adjustable to fit different body types. 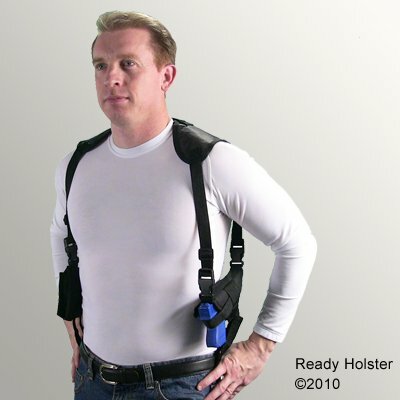 If you are over 6’1” tall, you may need a Horizontal Instead of a Vertical Shoulder Holster. Click on one of the gun manufacturers below to find the holster for your semi-automatic pistol. Or find the shoulder holster for your revolver.